Save some $ and register before April 24! 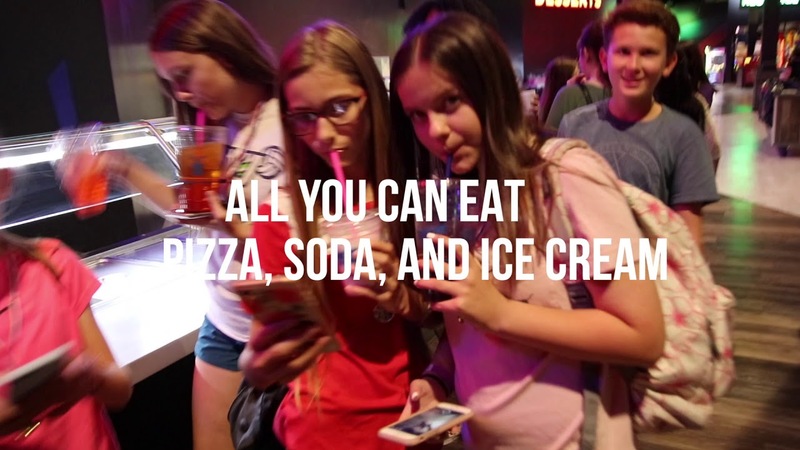 All you can eat food, arcades, laser tag, bowling and MORE! ALL current 6th, 7th and 8th graders are invited!! Please complete a 2019 CS Medical Release if you have not already done so for JHM Camp. Get ready for a lock in created exclusively for junior higher’s in Arizona. Meet new friends and win big games as we compete in grade competitions at Cornerstone. When you arrive at Jake’s Unlimited you’ll be in shock as you see the state of the art attractions like their two story laser tag, huge video arcade, and unlimited drinks and buffet all included! Hang out with friends while challenging each other in competitive games. Stay up all night, make friends, and play! We’ve got your ride there covered! Transportation is included from Cornerstone to Jake’s Unlimited! Pick up at 6am at Jake’s Unlimited! Laser Tag -Two stories and 4,300 square feet of exciting, high-tech, laser-beam-zapping fun! Do I need to bring extra money to this event? You may want to bring a few bucks with you if you choose to play games that dispense redemption tickets for prizes. As long as they are currently a 6th, 7th, or 8th grade student yes! What age is this event for? What time does the event end/pickup time? The event starts at 9pm and ends at 6am. Check-in will open at 8:30pm. Drop off is at Cornerstone Student Center (1595 S Alma School Rd, Chandler, AZ 85286). Pick up is at a DIFFERENT location at Jake’s Unlimited (1830 E Baseline Rd, Mesa, AZ 85204) at 6am. Why is pick-up so early? I have a friend/sibling/cousin that's not in 6th, 7th, or 8th grade can they come? We know this sounds like an incredible event for EVERYONE and we wish they could come but they can’t. For the safety, protection, and fun for everyone we limit the grades to 6th, 7th, and 8th graders. I'm a parent...will my son/daughter be safe? We love and value our parents! Only volunteer and background checked adults will be permitted to enter the event for the safety and well being of all students present. In addition, Jake’s Unlimited is providing their staff to help keep everyone safe. Yes, the doors will be locked so no one is able to enter or exit the building without us knowing.